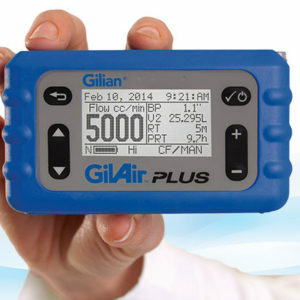 The Go-Cal™ air flow calibrator is a portable, battery-operated calibrator that is lightweight, easy to use, and accurate within 2% of reading. 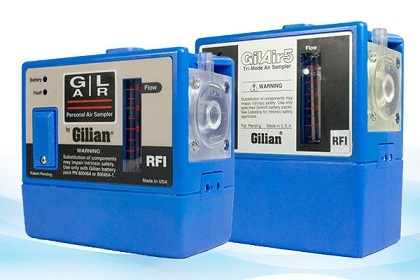 Go-Cal™ displays volumetric flow rate continuously allowing adjustments to pump flow-rate in real-time. 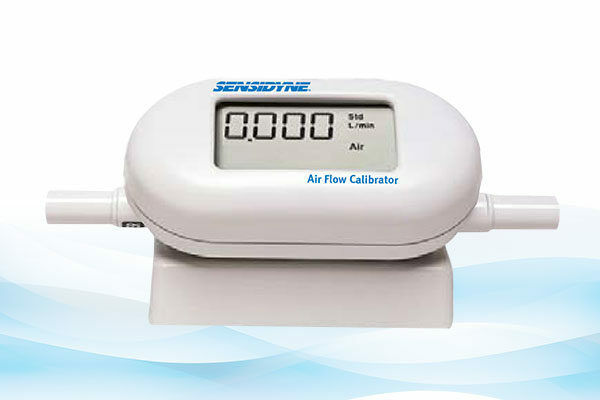 The Go-Cal™ displayed flowrate is compensated for temperature making it easier to produce consistent results at various calibration locations. Dimensions………………….5 in. × 2 in. × 1.25 in. alkaline batteries, Tubing kit, Carrying case.